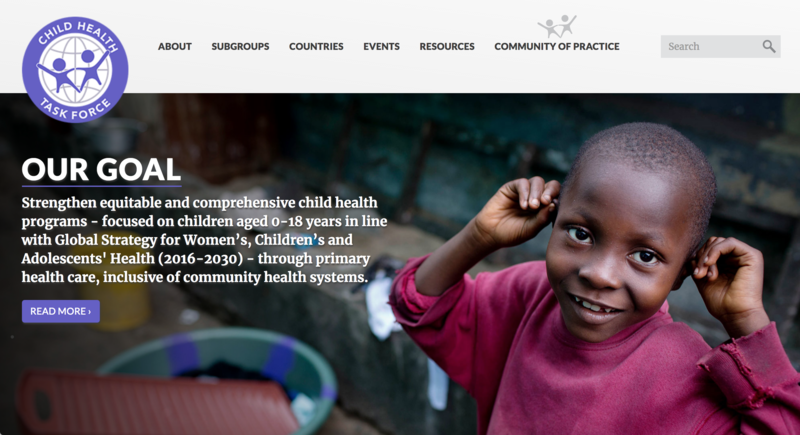 JSI is excited to announce the launch of the *NEW* Child Health Task Force website! The Child Health Task Force is a global multi-stakeholder network that aims to strengthen comprehensive child health programs by improving coordination of partners and implementation at global and country levels. Funded by USAID and the Bill & Melinda Gates Foundation, the task force is managed by USAID’s Maternal and Child Survival Program, for which JSI is the technical lead for child health. The website was created with the task force membership in mind to foster continued collaboration and information-sharing around the world. We encourage everyone to visit and explore the site, which will be launched in two phases. As such, we will continue to expand the website from its current form to include individual subgroup pages, a resource library, and a community of practice. We look forward to the growth and improved collaboration of the Child Health Task Force.